For grower/packer Jeff Boldt, his story of farming in the United States actually starts over 100 years ago. In 1907, Jeff’s in-laws started farming the same ground he farms today. Jeff’s wife, Brenda, grew up on this land her family bought in the early 1900’s. Jeff and Brenda both realize that farming could actually go back many more generations then they are aware of. They do know that both their families were very involved in farming in the Ukraine, before they came to the U.S. Both Jeff and Brenda grew up on a farm. Jeff’s dad was a business owner and started Jack’s Refrigeration, but he farmed about 30 acres of raisin grapes as well. Brenda’s dad was a full time farmer. He had about 25 acres of tree fruit and 115 acres of grapes. Because Brenda grew up where farming was the sole income, she started work on the farm at the age of 12. She loves to tease Jeff about working in a packinghouse younger than he did! Brenda’s family was able to do all the packing for their 25 acres themselves. Brenda, her mom and her sister packed, Brenda’s brother palletized, and Brenda’s dad ran everything else. Jeff started working in a packinghouse the summer before his 8th grade year. He continued working in a packinghouse until the summer of his sophomore year in high school. After that he spent many years working in a cold storage. In fact, this cold storage was the same one the Brenda’s family sent their fruit! Brenda would write notes in the boxes for Jeff to read when he received them in the cold storage! In May of 1983 Jeff started farming under Brenda’s dad, John Buhler. He spent the next four years learning the ropes until the fall of 1987 when he bought his first 30 acres. In 2001 Jeff started his own packing operation in the same building that Brenda grew up working in. They also grew to farming 260 acres. In this year, there was a devastating hailstorm that came through and damaged much of Jeff’s crop. This was his most memorable season because he had just accomplished the milestone of owning his own operation, but just before harvest much of the crop was hit by hail. Jeff persevered and made it through the season, but it was a humbling experience. Today, Jeff is still enjoying farming and running the same operation that has been in the family for years. He enjoys driving tractor, and says that farming is fun because he gets to do different things on a day-to-day basis. He says he went into farming because he knew farming usually stays in the family, and he needed a job to support his new wife. He enjoyed the fact that he could attend many of his daughters sporting events, and be there while they grew up. Jeff and Brenda have two daughters, Tami and Taylor. Tami married Josh Lehrman in September of 2011, and they are keeping farming in the family. Taylor married Ben Smith in September of 2012 and they are thinking of going into the medical field. 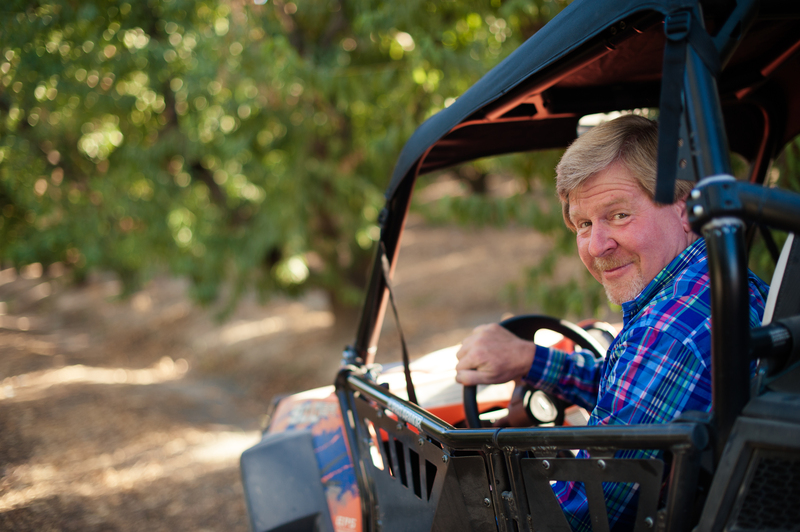 Jeff loves driving the fields during bloom, and loves the smell of fruit in the shed, waiting to be packed. He loves nectarines the most and his favorite varieties are Honey Blaze and Spring Bright. 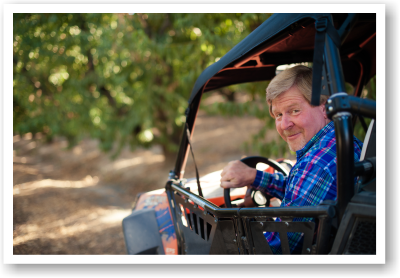 Jeff hopes that you can see, feel, and taste the passion he puts into his farming. He really has spent many years perfecting what he does today. 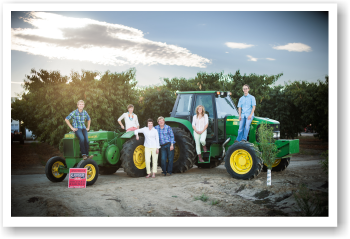 View & Download high-res photos of the Boldt Family for use in sales materials, social media and print.